Whether you own a 40′ diesel pusher or a 20′ teardrop camper, you can always use more storage space in your RV. 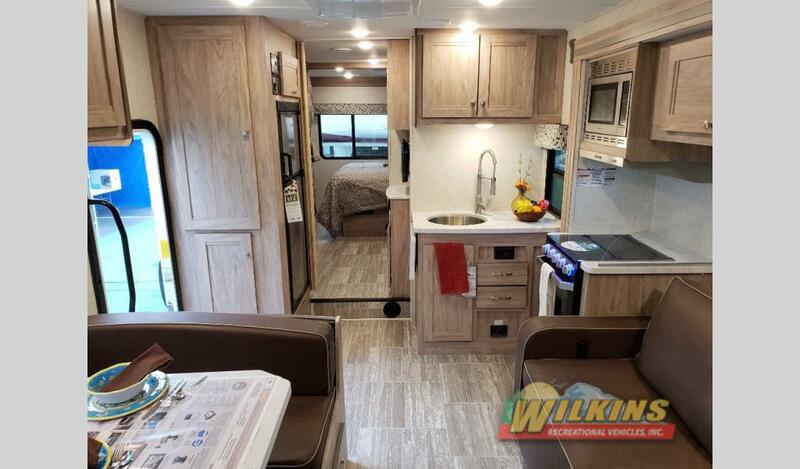 These helpful RV storage tips and hacks will help you get the best use of your RV cabinets, counters, outdoor compartments in your RV home on wheels. The kitchen is a major trouble spot when it comes to clutter. Most campers can always use extra kitchen space. Invest in square jars for dry goods like rice, pasta and cereal. They can be stacked and fit closely together on a shelf. Find a smaller versions of larger appliances such as a hand held instead of a full sized blender. You can also free up your counter space by installing a under cabinet mounted coffee pot. Use the insides of cabinet doors. Hang small plastic shelves for light objects such as plastic wrap and foil. You can also hang lids for pots and pans inside cabinet doors. Love cooking with spices? Try sticking strong magnet strips for metal storage cans filled with herbs and spices in out of way spots to make better use of pantry space. Get the most use out of your living area. You will be amazed at how much extra room you can create throughout your RV by organizing efficiently. Be creative! Broom holder clips work well for flashlights, velcro keeps remote controls safely out of the way. Extra throw blankets can be used to wrap fragile items while in transit. Ditch board game boxes and put all the pieces and cards in sandwich baggies to save space. Many RV bathrooms are limited on cupboard space and can really benefit from space saving hacks. PVC pipe pieces can be cut and mounted to the inside of cabinet doors. A curling iron and its cord fit neatly and out of the way. For bathroom necessities, use elastic mounted in loops along the back of your medicine cabinet so tubes of cream stand upright instead of lying down. This frees up space on your shelf. For short trips, take smaller amounts of shampoo and mouthwash from larger bottles. Little bottles can be suspended by wire or hooks from the shower curtain rod. Long RV trips require creative use of bedroom space for your entire vacation wardrobe. Cut a hanging fabric shoe holder into rows and mount them on the side of the bed for handy sock, belt and shoe pockets. Pack away out of season clothes and store them in an outside compartment or under the bed. Design a storage headboard with fabric pockets suspended from a decorative curtain rod for books, cell phones, glasses etc. There are many ways to make full use of your outdoor compartments as well. Invest in storage containers. Multiple plastic containers with lids allow you to stack items and make the most use of your vertical space. Brooms and other awkward items can be hung by clips from the top of the storage compartment or the compartment door. Slide out trays allow you to use your entire storage space and retrieve them easier. 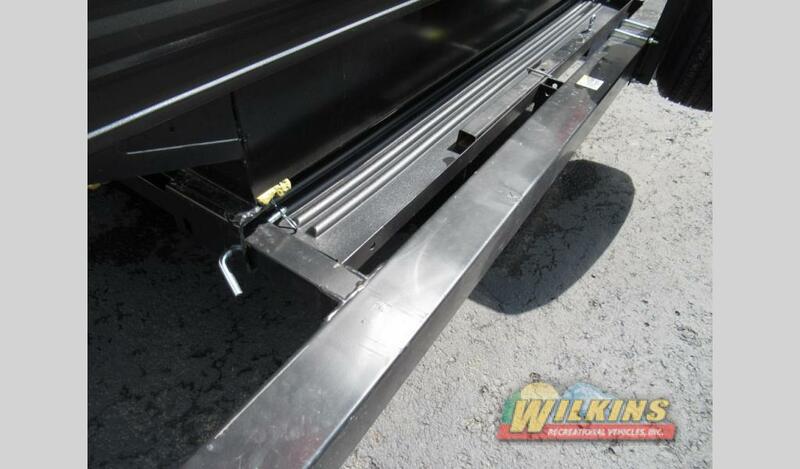 Many RVs such as the Heartland Trail Runner have a rear storage rack. This is the perfect spot for transporting bulky cargo like bikes and coolers. 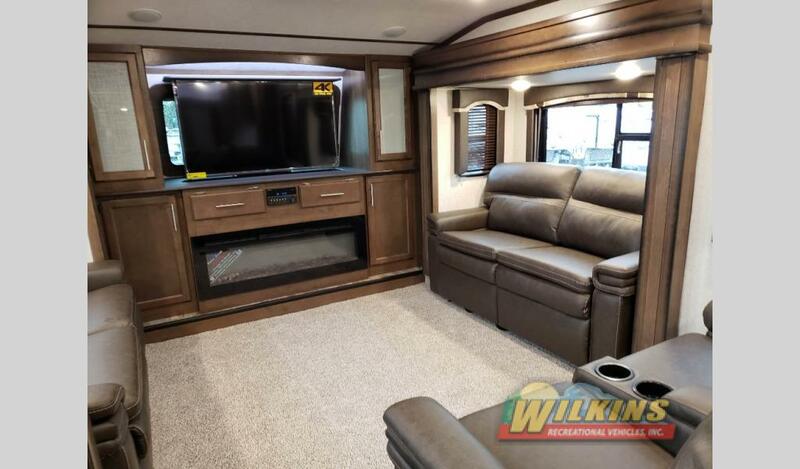 For additional RV tips and tricks, checkout our upcoming Wilkins RV Seminars. These free monthly talks are a great way to learn more about RVs and the RVing lifestyle!